My “Top 10” list, if you will, includes places like Istanbul and Naples and, of course, Tehran and Tabriz, where my father’s roots lie. Heck, I’d even really like to go to major US cities I’ve never seen like Chicago and New Orleans. Yes, definitely New Orleans. I would eat, I would learn. But, I also have a somewhat superficial desire: I want to see, touch, feel aquamarine waters. Those bright Caribbean blues. I’m, admittedly, a beach bum. Although I typically feel uncomfortable when I’m not busy (or baking), at the beach, I somehow can just be and let be. I love New England beaches. They’re what I know. But I crave something different. A place where life is on pause, where you don’t sit in your car for 2 hours if you arrive past 9 a.m. just to get a tiny sliver of beach next to some Jersey Shore transplant. 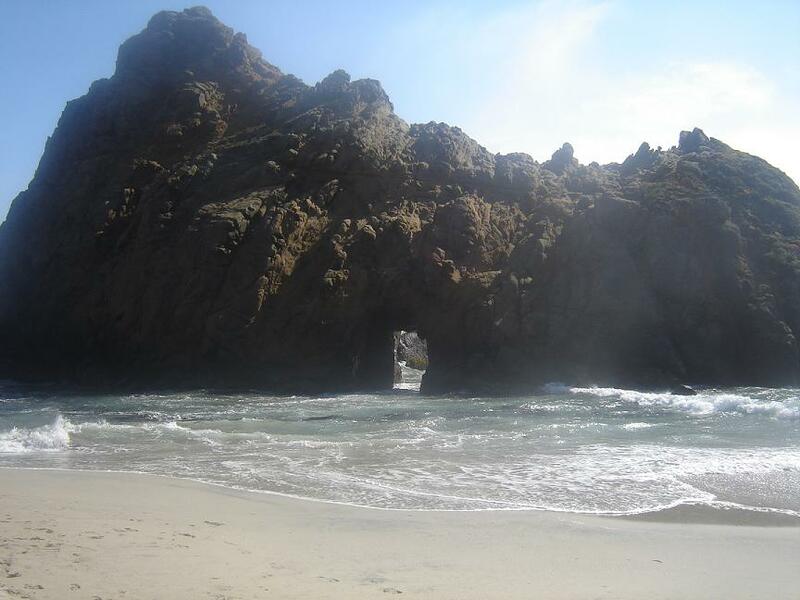 I once went to Big Sur’s Pfeiffer Beach. It changed my life. Crashing waves, fierce winds, jagged caves, and mountainous rock. I loved feeling so small. I loved that it was so loud I couldn’t even hear the person next to me but that I still felt as if all was so quiet, so still. But the water was cold and quite dark. It glimmered, but not any more than the clean waters of the Maine coast. It doesn’t really matter which island paradise I visit, as long as the waters match the color of the sky – a world so monotone it erases, yet so vibrant it inspires. For now, this will do. A deconstructed piña colada en dessert. I actually do not like piña coladas; they’re too sweet and often taste artificial. But, while the flavors of coconut, rum, and pineapple may not be as profound as that dish of couscous, they certainly help me feel a warm breeze on my cheeks, even indoors. Here, they’re brought together in a way I can actually enjoy them. A classic friand — the coconut cousin to a financier — gets a splash of booze. The crisp-edged petit cakes are the perfect pairing for a sunny, pineapple sorbet. They’re dense and buttery, while the sorbet is smooth and mysteriously creamy, like restaurant sorbet. It tastes like you’re sucking the surrounding flesh left on a pineapple core (What? You don’t do that?). The two desserts are lovely alone, but together, they take me away. I use this as a base. With the friands, I wanted pure, unadulterated pineapple flavor, but it’s also great with mint simple syrup or lime and a little bit of chili. Taste your pineapple. If it is isn’t at that perfect stage of sweet-tart, you may want to start with 1/2 tsp of lemon juice. 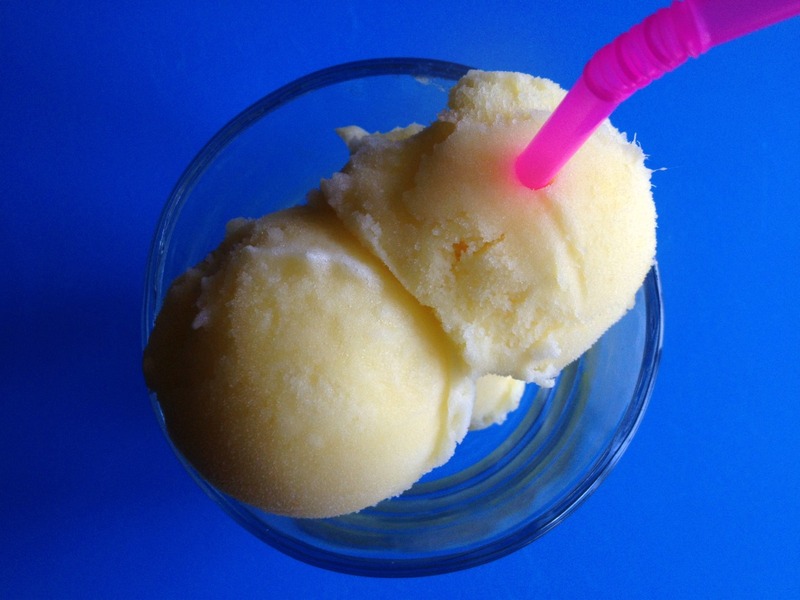 (Note: Do not be tempted to use less than 1/2 cup of sugar, even if the pineapple is overly sweet — the sorbet will freeze too hard). In a blender, purée pineapple with water, sugar, lemon juice, vodka, and salt until very well blended and smooth. Taste it. If it’s not sweet enough, add up to 2 tablespoons more of sugar. If it’s too sweet, add some more lemon juice. Whir together well. At this point, you can strain away any “pulp,” but I prefer to leave it. If well blended, it should be very smooth. Transfer to a bowl or container and store in refrigerator for 8 hours. When ready, churn in ice cream machine according to the manual and store in freezer. 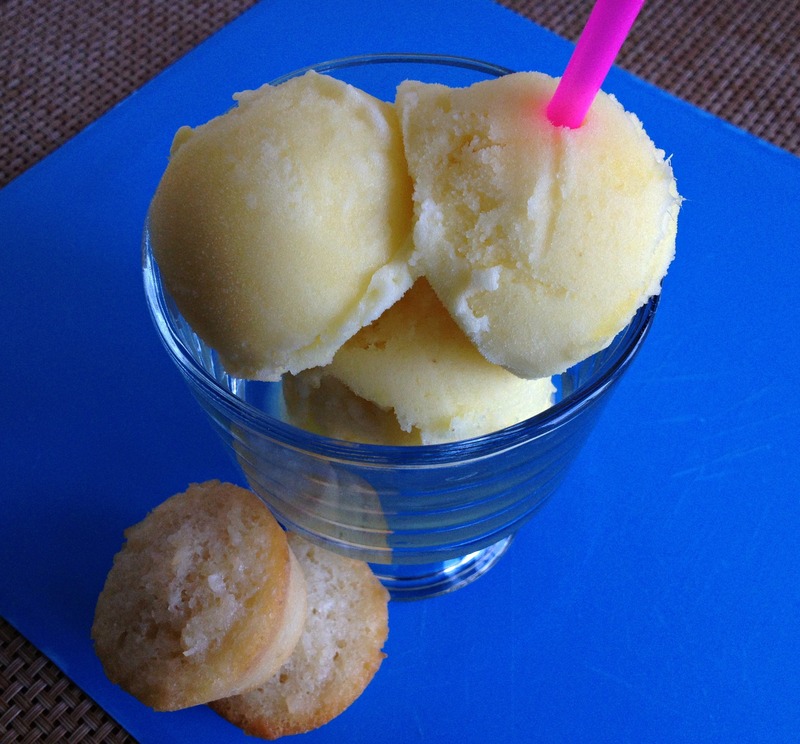 You probably will not even need to remove the sorbet from the freezer prior to serving; it has a dreamy consistency. Don’t have an ice cream machine? Add more water (maybe around 3/4-1 cup), axe the vodka, and make granita! Adapted from Around my French Table, by Dorie Greenspan. I adjusted the recipe to accommodate the rum. 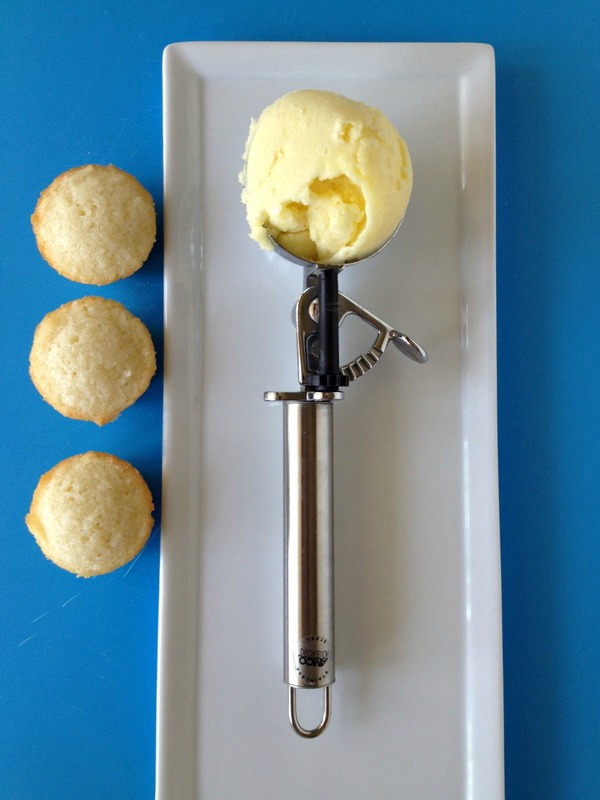 If you would prefer a rum-free friand (say that 10x fast), refer to the book! Preheat oven to 350 degrees F. Grease a mini muffin pan (or financier molds if you have them). In a large bowl, whisk together egg whites until smooth and slightly foamy. Add coconut and whisk gently to combine. Add sugar and salt and repeat. Add flour and quickly and gently fold in with a rubber spatula until combined. 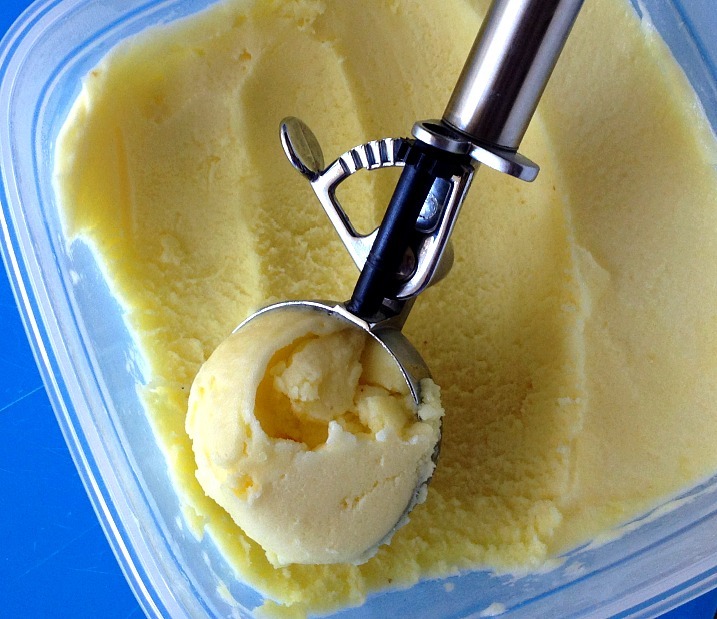 Add rum and butter and gently stir until mixture is homogeneous, smooth, and glossy. Spoon batter into the molds, to the top. Place pan on a baking sheet. Bake for 17-22 minutes. Halfway through baking, rotate the pan from front to back. The friands are done when you press on the tops and they spring back and a toothpick comes out clean. Remove and cool completely on a wire rack. Store in airtight container. The friands stay fresh for 3 days or more (! ), BUT they are tastiest before being enclosed when the outside is impossibly crisp, the center moist and dense — the trademark of a classic friand. Afterwards, I find them more cake-like and less special. Might have to convince my friend with an ice cream maker to make this for us… I don’t like the artificial taste of coconut or the sugary taste of pina coladas, but when the actual flavors that comprise a pina colada are able to stand out, I’m sure it will be delicious. I love the combo of the two, the sorbet looks dreamy. Looks wonderful! Always keep traveling. For real and in your imagination. Pina coladas are kind of a guilty pleasure of mine, but this seems like a better way to enjoy them! I love pina colada. Pineapple and coconut – and rum! – are wonderful tropical flavors that remind me vacations and home. Oh and I’d love to travel more too, and New Orleans is also on my list!